Our Large Climber works mounted to the wall as well as on the floor. By changing the angle, you create different opportunities for use. Can be mirrored and turned to suit your cat’s needs and your living space. Mix them with our other climbers to design your space! 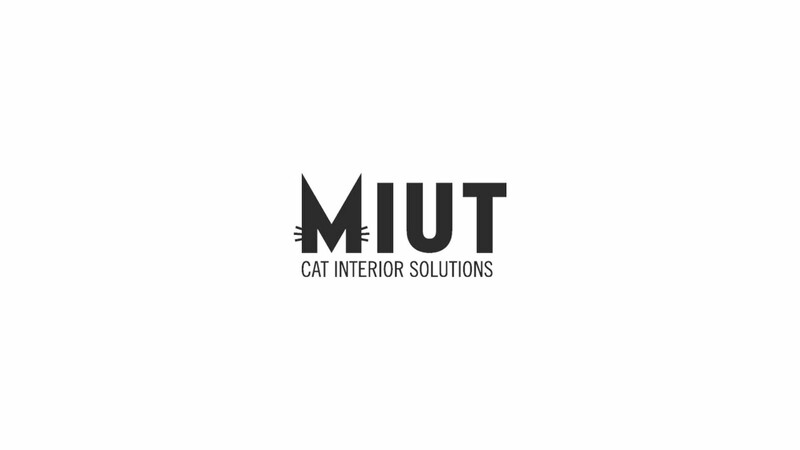 MIUT is a modular cat furniture system. We designed it to provide an easy and flexible tool for matching your cat’s needs to your interior. The stable, climbable, soft objects give your cat the chance to stay active, expand their territory or hide in cozy niches. They create spaces for perching and for releasing pent up energy. MIUT offers flexibility for adapting, changing, and mixing the designs and colors. By following our easy to use manual, parts are mounted with binding screws to form climbing elements or are kept as floor elements . These can easily be assembled and disassembled. Add more objects at any time. We want to provide you a customizable design product based on cat’s needs and living space. The functional design enables you to rearrange and care for your products so that you and your cat can enjoy MIUT as long as possible.